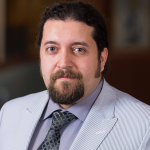 Shervin Assari is a Research Assistant Professor of Psychiatry and Public Health at the University of Michigan, Ann Arbor. He is also affiliated with the Center for Research on Ethnicity, Culture, and Health (CRECH), Institute for Healthcare Policy and Innovation (IHPI), and Poverty Solutions. With over 15 years of post-graduate research experience, he has authored more than 200 peer-reviewed papers and is an elected fellow of the New York Academy of Medicine (NYAM), Society of Behavioral Medicine (SBM), and American Academy of Health Behavior (AAHB). He has chaired committees and councils for the American College of Epidemiology (ACE) and American Academy of Health Behavior (AAHB). In 2017, he served as the president of the Scientific Association for Public Health in Iran (SAPHIR). He is an associate editor for BMC Public Health and has edited a number of special issues on social determinants of health.